There’s been some new fabrics arriving here recently (a lack of sewing time often leads to fabric purchases…). I know I already showed these great prints above, but hey, they’re awfully pretty and worth showing again, right? This line is called Squared Elements for Art Gallery. Such super basics, and a great bunch of colors. The stack above is a fun new line, Hipster, by Shannon Lamden of Aunty Cookie fame for Riley Blake. Shannon was nice enough to send me a bit of each of the prints a while back and I’ve been looking forward to using them in a quilt. This low volume polka dot bundle is from Riley Blake’s La Creme collection and was purchased from Westwood Acres, one of my newest sponsors. This great shop is run by Amanda and her husband. They are known for their fabulous fat quarter and fat eighth bundles – by the collection (I recently bought a bundle of Denyse Schmidt’s Florence) and they also put together some great custom bundles, like this In the Navy bundle I snagged recently since I find I’m lacking in navy fabrics. 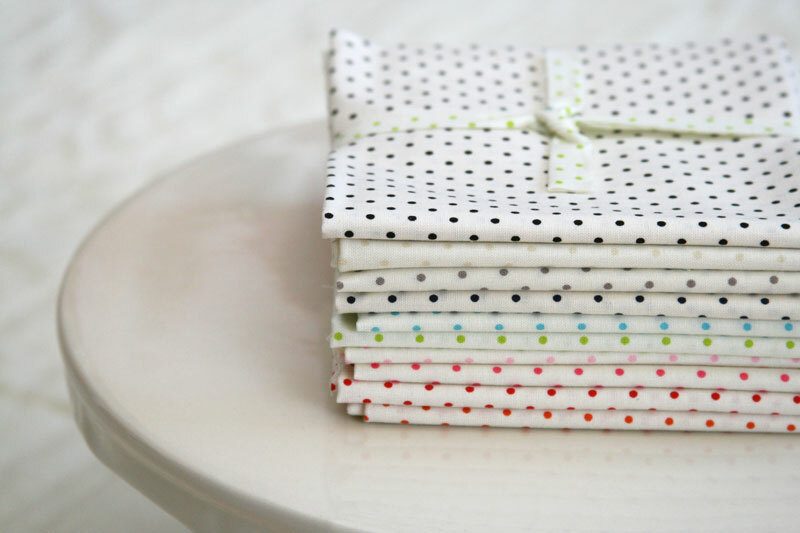 Amanda also frequently puts together low volume collections, which have been quite popular! (If you’re looking to grab one, you might consider following her on Instagram for advance notice of new bundles.) Their customer service is excellent and they offer quick shipping (and at only $5.85, regardless of how much you buy!). If you haven’t checked them out yet, be sure to do so! And how’s about this new line? This one is Koi, by Rashida Coleman-Hale for Cloud 9, and one that I’ve been anxiously awaiting. I bought this fat quarter bundle here. So what to do with my new fabrics? 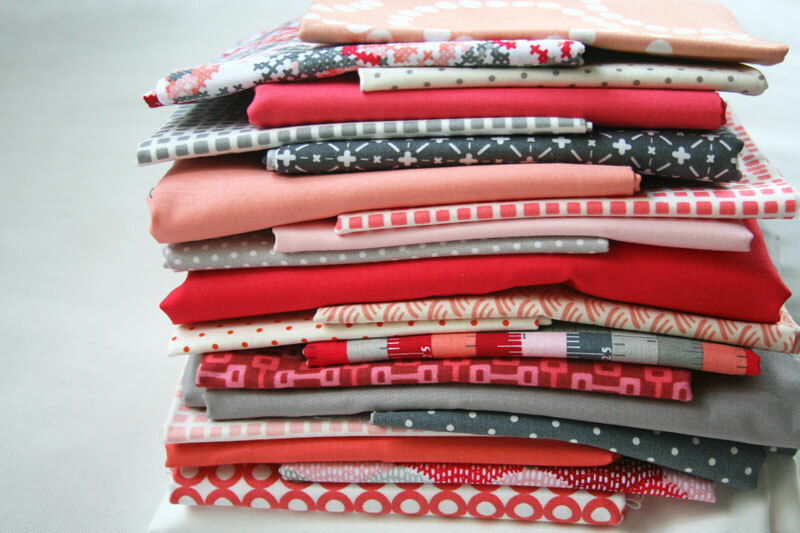 Why, put together a new fabric stack of course! I pulled this one together earlier this week while Hazel and Max slept (and I enjoyed a few minutes to myself!). I started with a few of Shannon’s Hipster prints – I’m in love with that cross stitchy one near the top – and gathered together lots of other prints and solids in those same colors (and you’ll note that many of my recent purchases came in handy!). I don’t know yet what this will become (or when I’ll have a chance to even start it), but it was certainly fun spending some time with my fabrics! 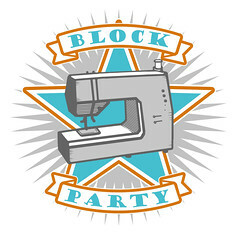 This entry was posted in Fabric and tagged art gallery, aunty cookie, cloud 9, Fabric, fabric stack, koi, rashida coleman hale, riley blake, shannon lamden, squared elements, westwood acres. Bookmark the permalink. Now I have to clean my keyboard – it is soaked from my drooling over your fabric stacks!! 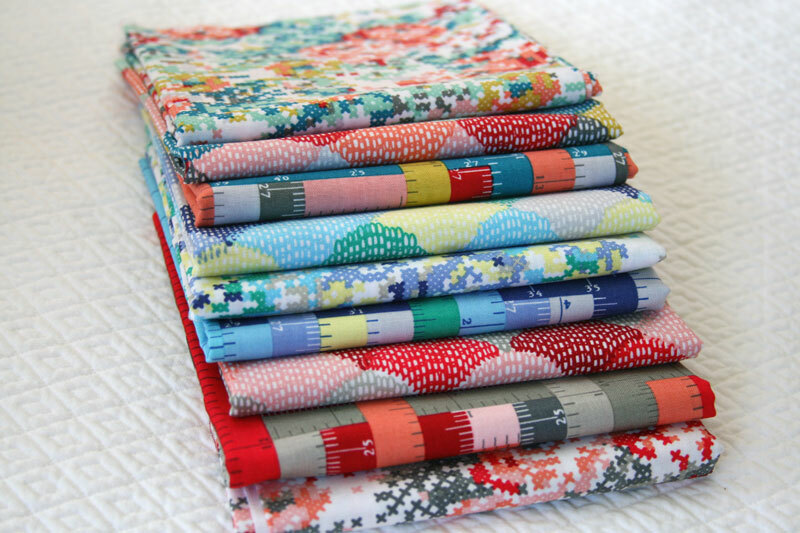 Love those cross stitch fabrics in the Riley Blake stack! And the one you pulled together works so well! Thank you for connecting me with this shop! I’ve been looking for fq bundles of collections with purple to make a quilt for my mom. This is perfect. Thanks!! Thank you! I love seeing the new fabric – often ones I did not know about. When I know about them, I am able to hunt some up. Usually, I hear about them when they are scarce. aaaah!!! Love all these new fabrics!! I’ve kinda fallen out of love/obsession with fabrics over the past year or so, but this makes me excited again!! 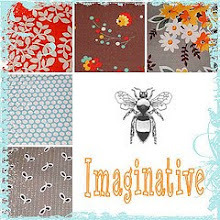 I love those fabrics and welcome to your new sponsor and more to come.Have a fun weekend! I love the fabric bundle you put together, using Hipster, Koi, etc. Could you tell me the name or any info you have on the 6th fabric from the top, it has little plus signs on it. I thought I saw an answer to this question in your comments, but I can’t find it again Thanks for any info you can send me. I love the Squared Elements for Art Gallery and the hipster collection. 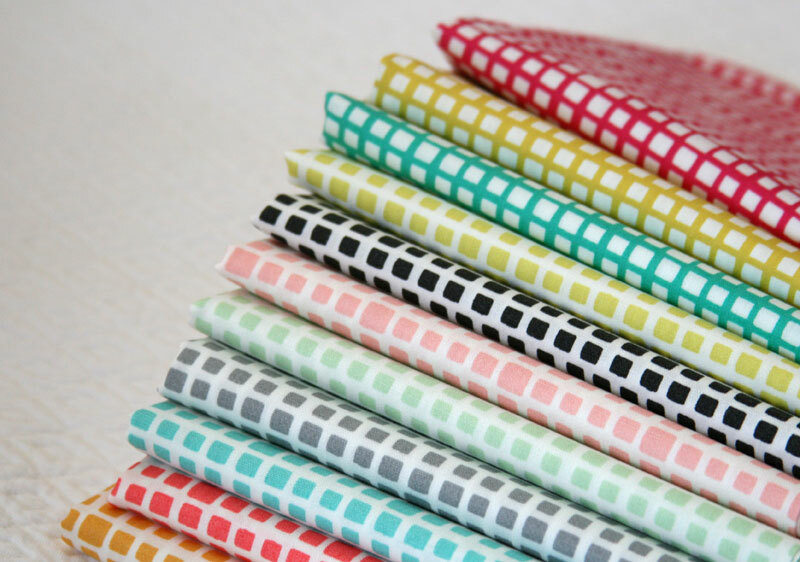 These bright new shades are particularly useful for creating simple quilting patterns. We just need to find out some solid prints to match the colors. Oh what a gorgeous bundle you’ve put together. I love it! And I LOVE Koi! 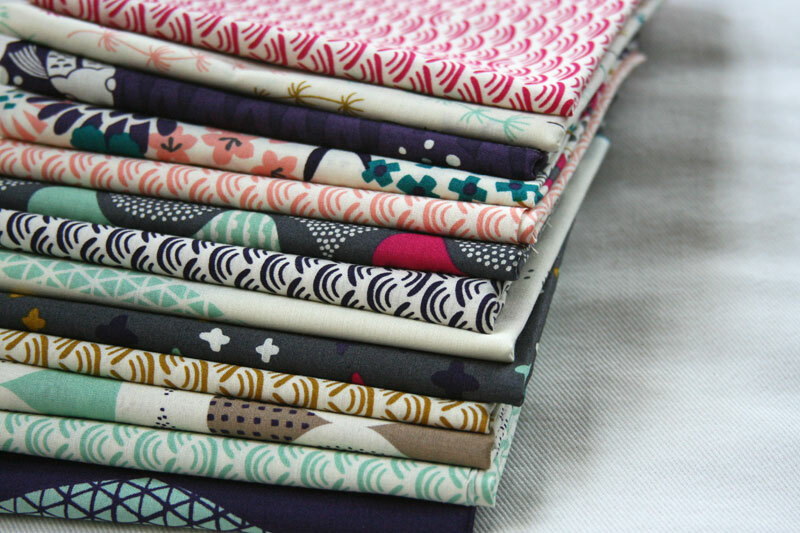 I’ve been following Aunty Cookie/Shannon for awhile now, I have some of her original fabrics that she sold on Etsy and YOWZA love the Hipster stack you showed us! Must have. Must find. Googling now….